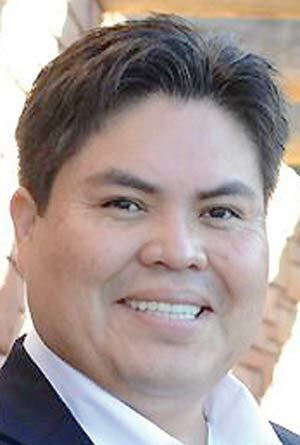 Navajo Nation Council Delegate Joshua Lavar Butler (To Nanees Dizi) has announced he will run for Arizona state representative in District 7. Butler is the first person to announce his candidacy for one of the two representative seats, which are presently both held by Navajos: Jamescita Peshlakai (D-Cameron) and Albert Hale (D-St. Michaels). Peshlakai has announced she will run for state senate against incumbent Carlyle Begay. Hale has not yet made an announcement regarding candidacy. In a press release, Butler said he is running "to be a voice for rural Arizona." "There comes a time when you know your advocacy is needed at the next level," he stated. On his website, butlerforarizona.com, Butler says that if elected he will protect bilingual education, support health care reform, be an advocate for small business (Butler runs his own public relations firm) and streamline veterans' services. He would also work to balance the state budget, improve communication within vast Dist. 7, and address the "bipartisan bickering" that is "seriously crippling our state legislature's ability to solve problems." Having grown up in the former Bennett Freeze area without running water and modern conveniences, Butler knows the problems of rural Arizona first-hand. He is a former journalist and prior to being elected to the Navajo Nation Council was communications director for the Navajo Nation and director of the Office of Navajo Government. He is in the last year of a four-year term on the 22nd Navajo Nation Council, serving on the Health, Education and Services Committee. A member of both the Arizona Indian Gaming Association and the National Indian Gaming Association, Butler is an advocate of Indian gaming as a method to create jobs and economic development. He holds a degree in political science and history from Northern Arizona University. Butler and his wife Christina have one child, 5-year-old Ethan. He is Bitter Water Clan (Tód’ch'’i'nii), born to Towering House People Clan (Kiyaa'áanii). His maternal grandfather's clan is Tangle People Clan (Ta'neeszahnii), and his paternal grandfather's clan is Edge Water People Clan (Tábaahá).